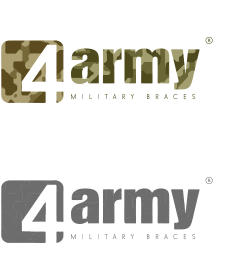 Brand: 4sport. 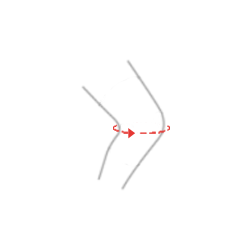 Code NFZ: J.038.00, J.038.01. 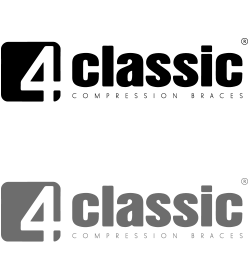 Code UMDNS: 18029. 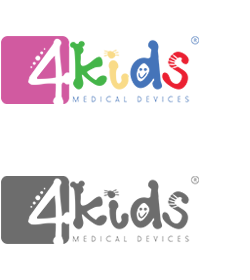 Ligaments are a short band of tough, flexible tissue, made up of lots of individual fibres, which connect the bones of the body together. 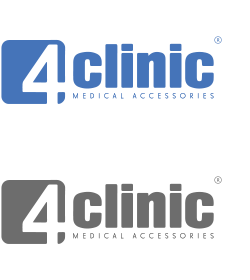 ACL – anterior cruciate ligament – is the most commonly injured knee ligament. It connects the thigh bone to the shin bone. 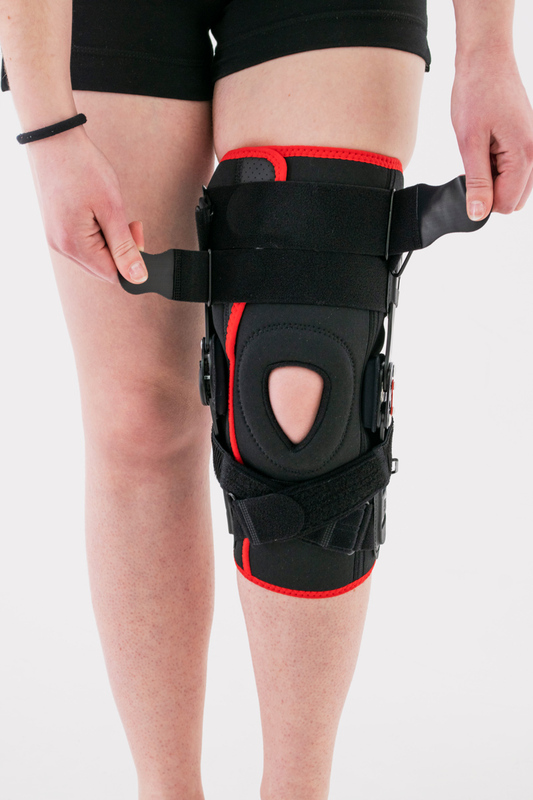 PCL – posterior cruciate ligament – it’s rarely injured except in car accidents, where PCL injury is very common. It also connects the thigh bone to the shin. 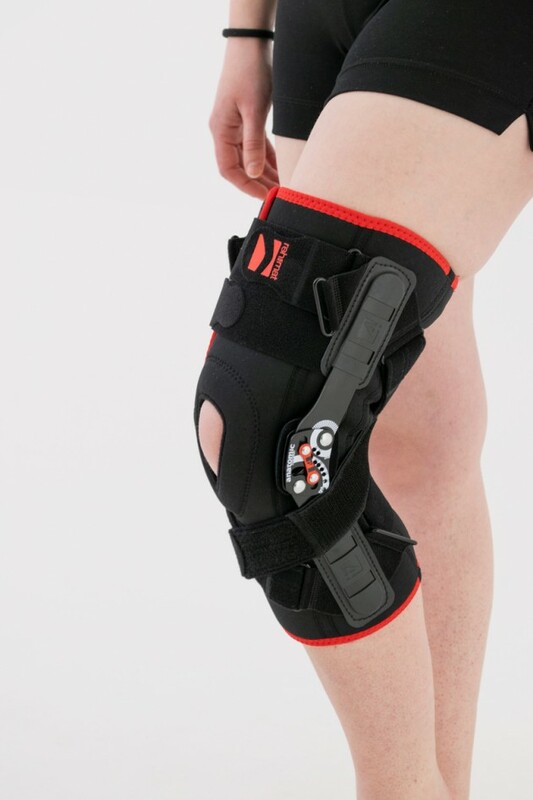 LCL – lateral collateral ligament – helps keep the outer side of the knee joint stable and connects the thigh bone to the fibula. MCL – medial collateral ligament – helps keep the medial side of the knee joint stable and links the thigh bone to the shin bone. 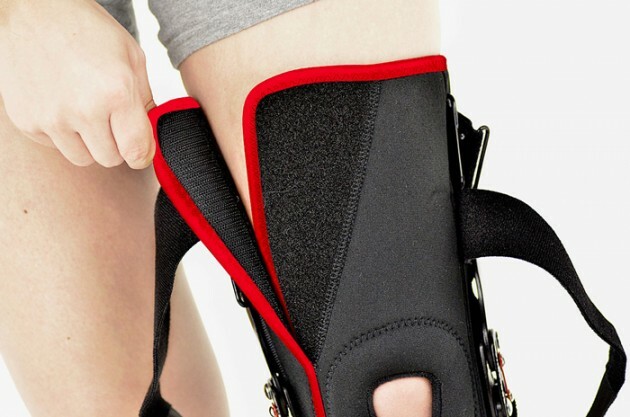 How you can damage your ligaments? 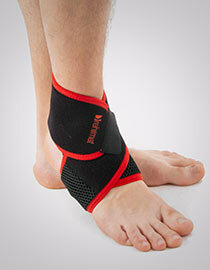 Ligament injuries in athletes are common and can occur at any joint. 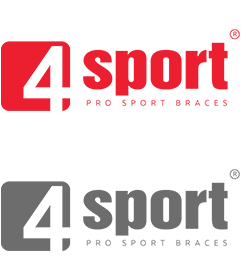 The knee and ankle are particularly vulnerable. 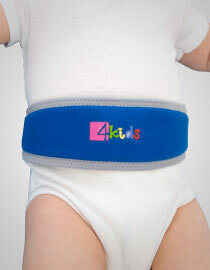 The reason is fact that joints move in all directions under high stress with weight-bearing. 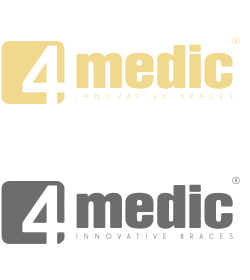 The ligament is damaged or torn when joint moves more than natural range of motion allows. 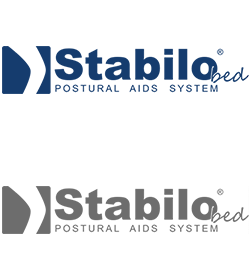 Common causes of a ligament injury include twisting or landing awkwardly. 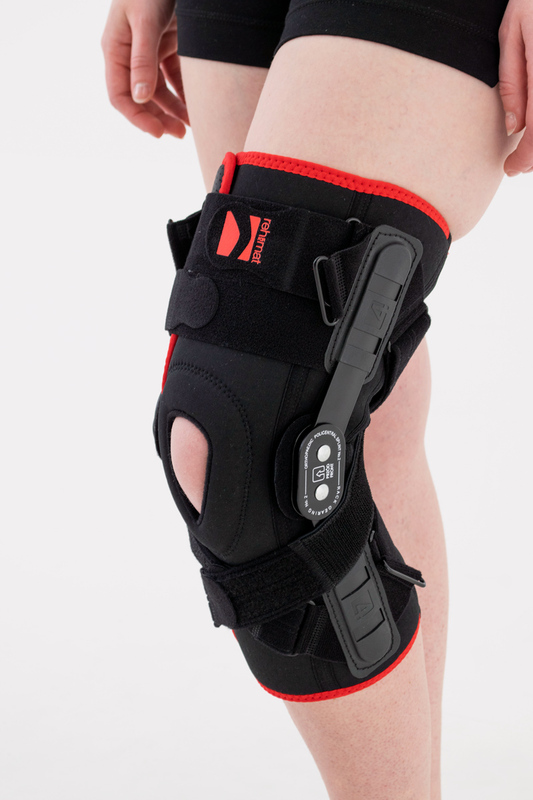 1 degree – mild ligament tear, with painful area and full stability maintained. 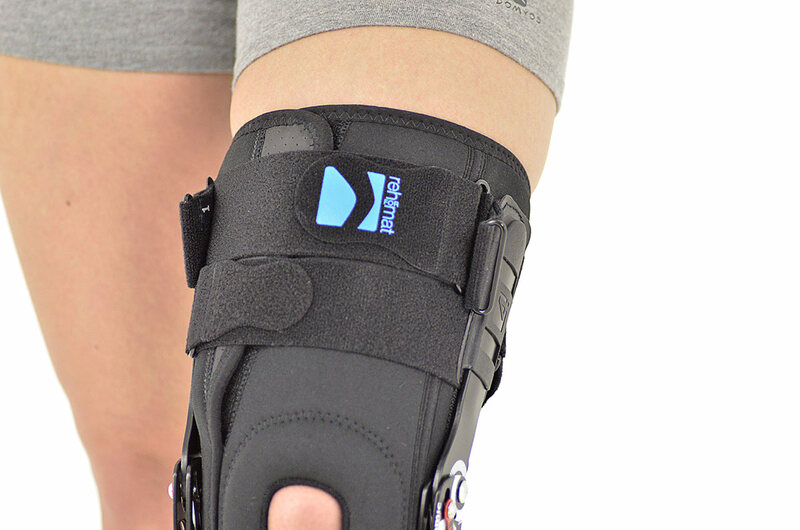 2 degree – moderate ligament injury with pain, limited function and slightly instability. 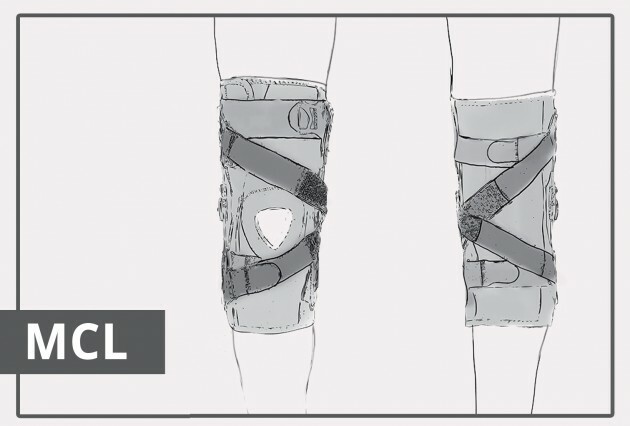 3 degree – severe ligament tear with high knee instability. 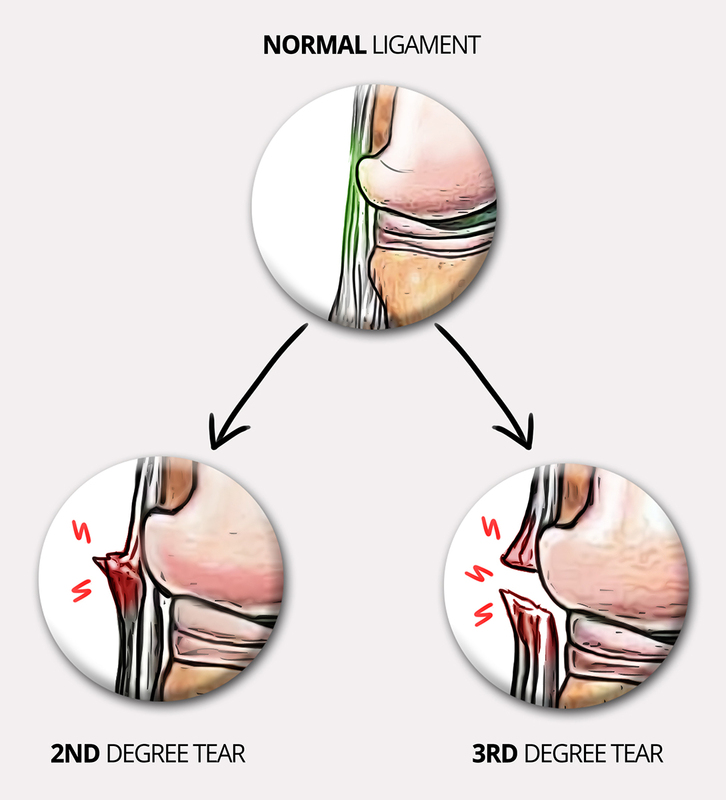 What are the Symptoms of a Torn Ligament? 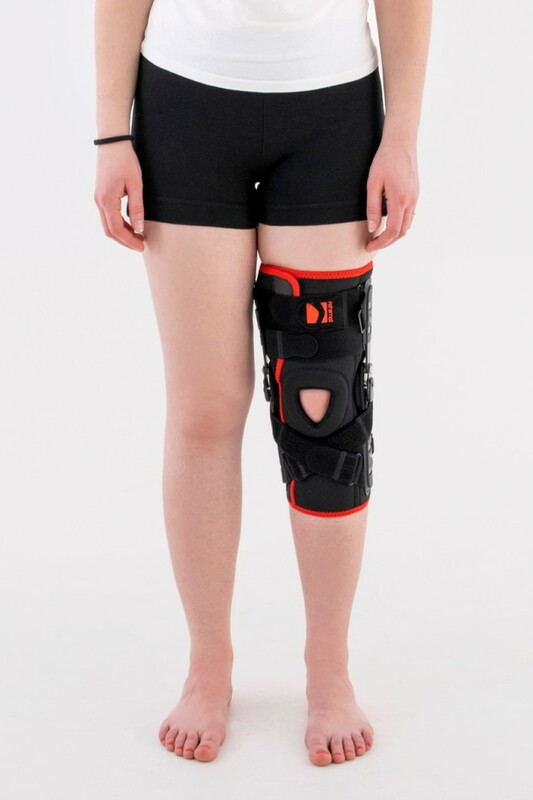 In mostly cases, torn ligaments may heal on its own, but they need immobilization and stabilization providing by high quality knee brace. 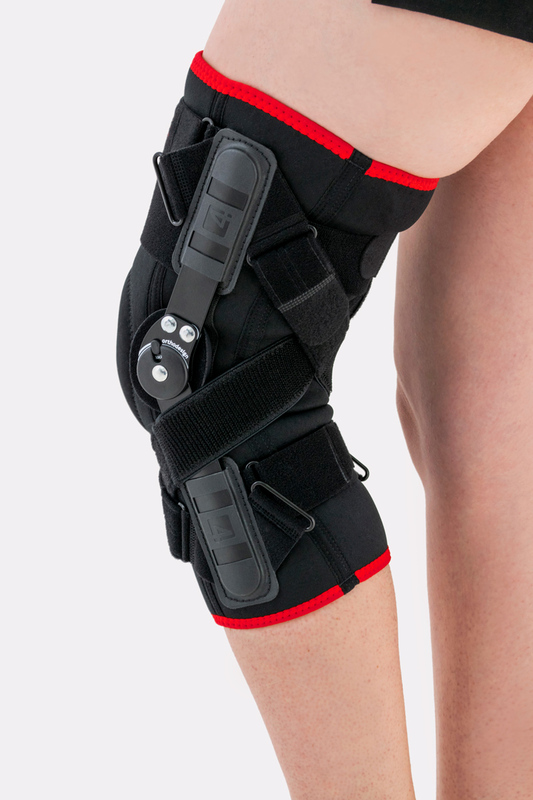 In case of surgery (reconstructive knee surgery) the knee brace is also necessary after procedure. 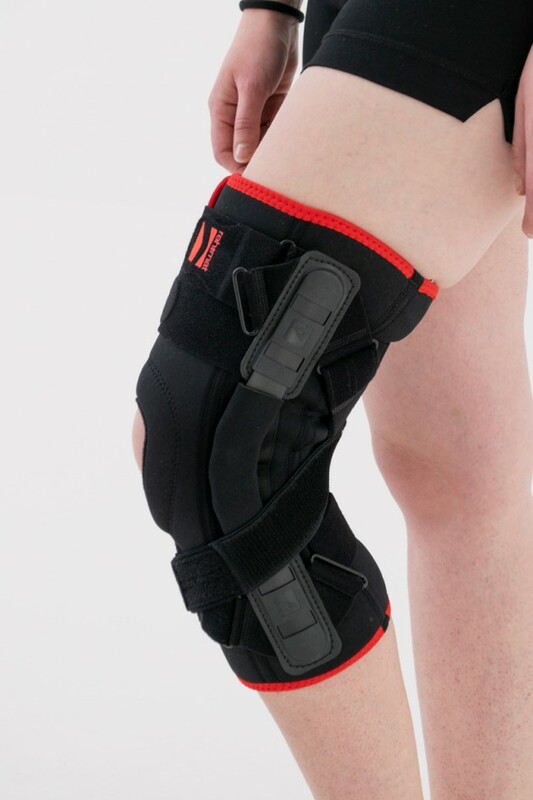 If you want protect your knee against the injury, you should also apply professional knee brace. 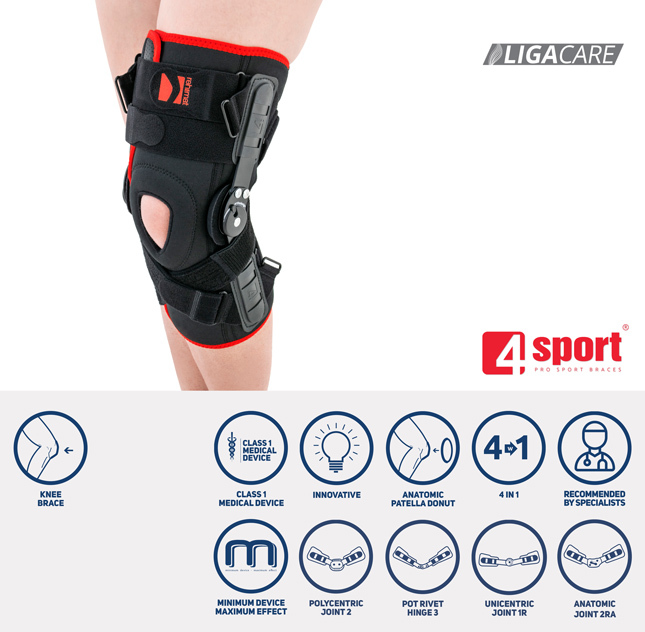 To meet this requirements, we recommend high quality knee brace LigaCare. 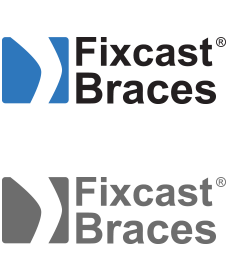 LigaCare is an active, asymmetric, dual side splints brace with dynamically stabilizing straps supported knee ligaments. Knee brace LigaCare is made of ActivPREN. 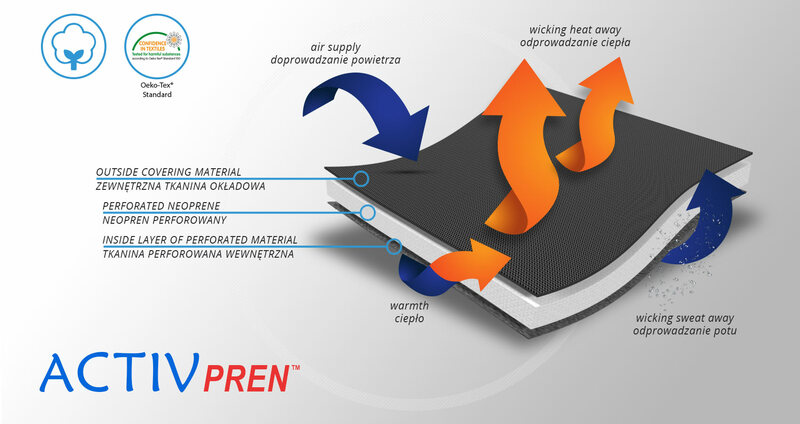 ActivPren is an active 3-layered fabric made of elastic jersey layer and neoprene foam. 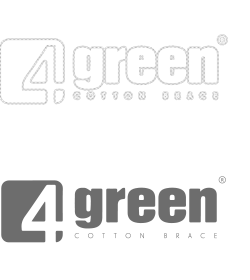 This lamination is very soft and high elastic. 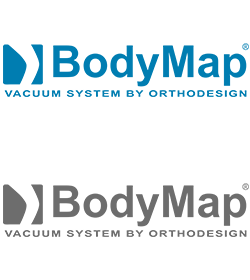 The skin can breathe freely and its required temperature is maintained because of AirSupply System. 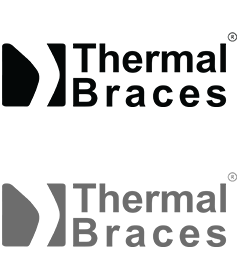 This material is not knitted, what prevents skin against the skin abrasions in the compression zones. 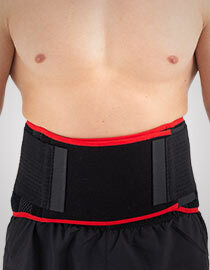 Place where brace is closed is covered with special non slip fabric what improves putting it on. 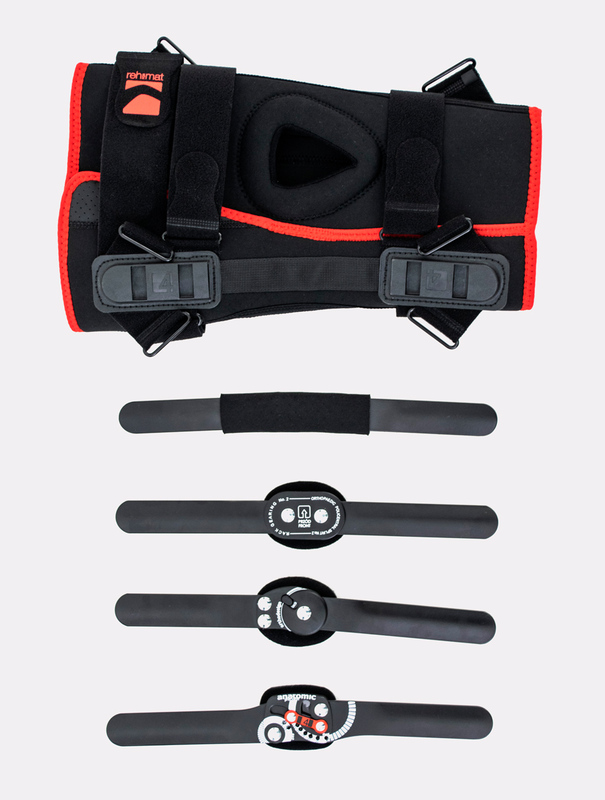 For better stabilization, our knee brace is equipped with frontal and rear circumferential straps. 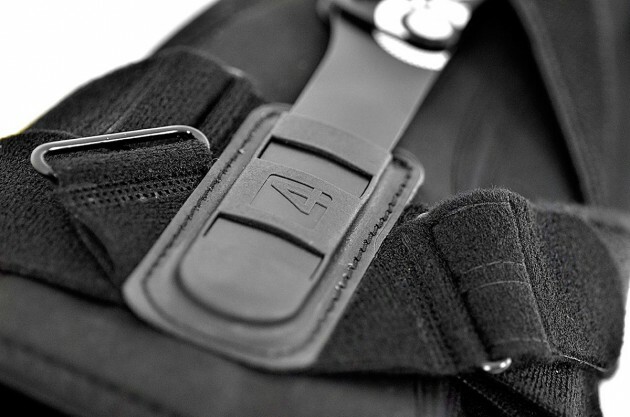 Asymmetric offloading pads allow to distribute of pressure what improves comfort of using and brace stabilization. 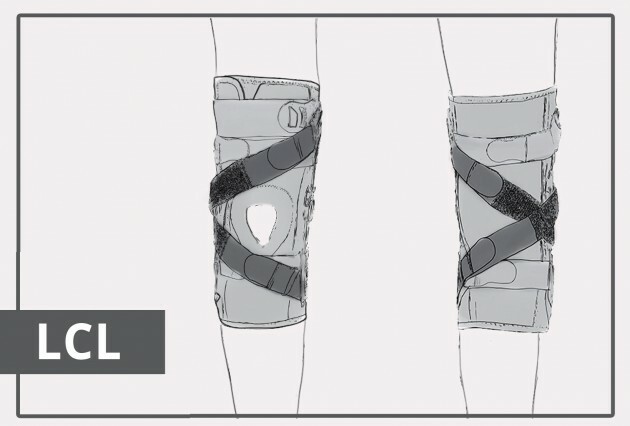 LigaCare knee brace may be equipped with different splints according to needs. 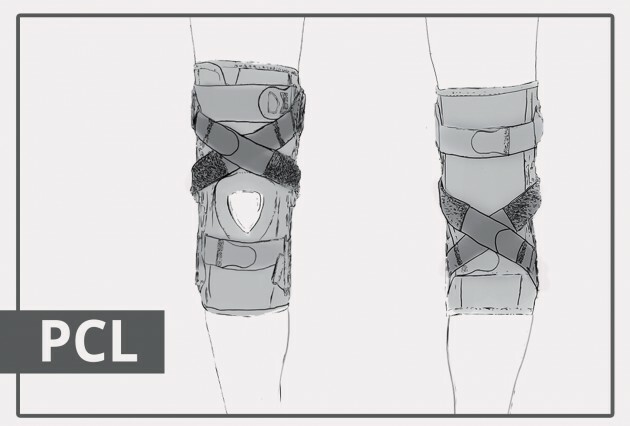 Splints 2 – double-axis polycentric splints without range of motion adjustment that reflect the anatomic movement of the knee joint. 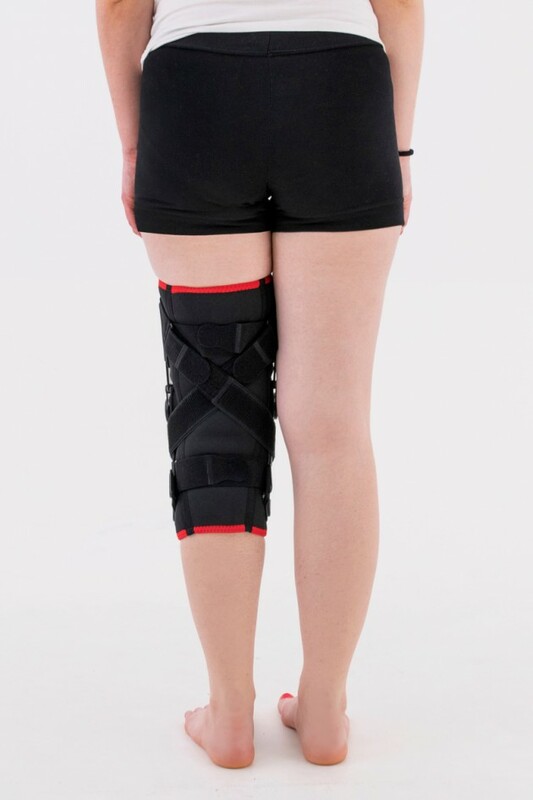 Splints 3 – triple-axis polycentric splints without range of motion which reflect the anatomic movement of the knee joint. 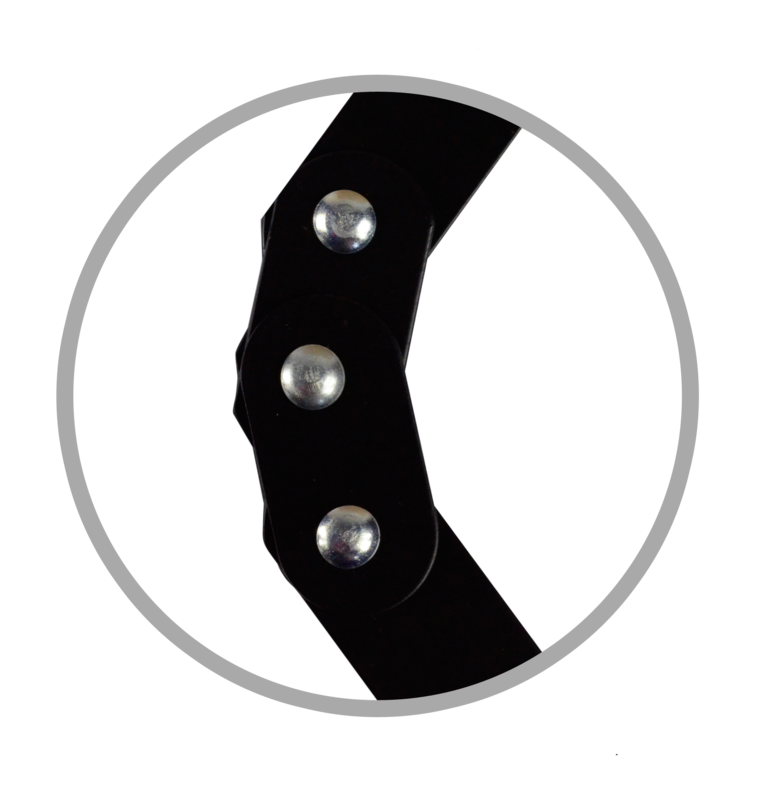 Splints 1R orthodesign – innovative splints with easy and fast range of motion adjustment with magnet and steel pins. 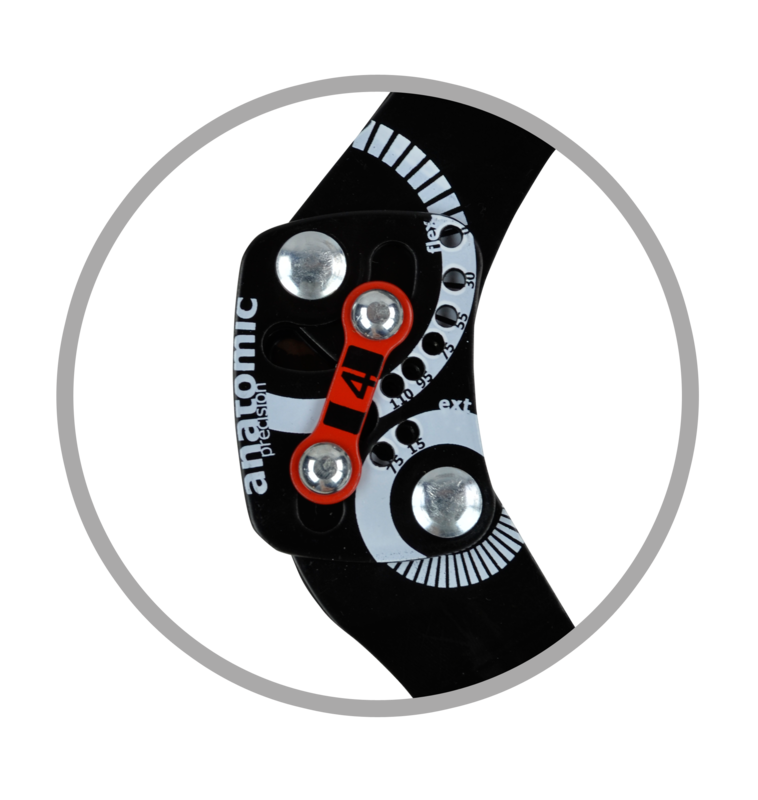 Splints 2RA Precision – a double axis anatomic splints with range of motion adjusment which reflect the knee movement and during performance do not change their position towards the joint axis. 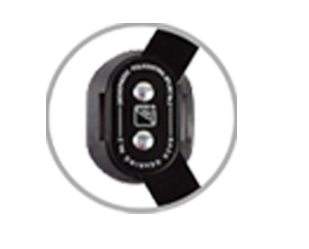 Internal layer of drop locks is made of unloading 3D pads. The splints are made of high quality hot covered by powder dye aluminum that is sweat proof. 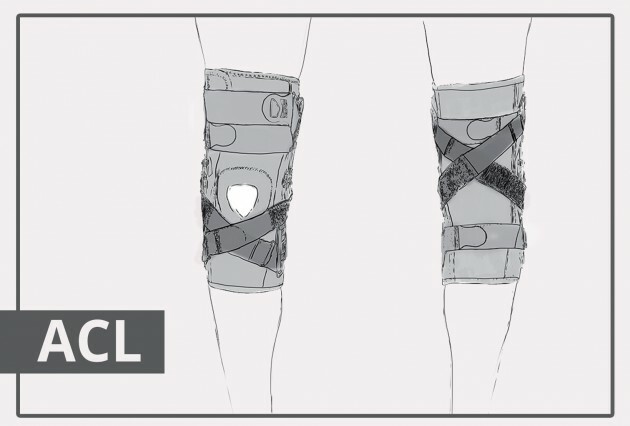 Design of knee brace LigaCare is unique and allows for perfect unloading and stabilization of ligaments: ACL, PCL, MCL i LCL. 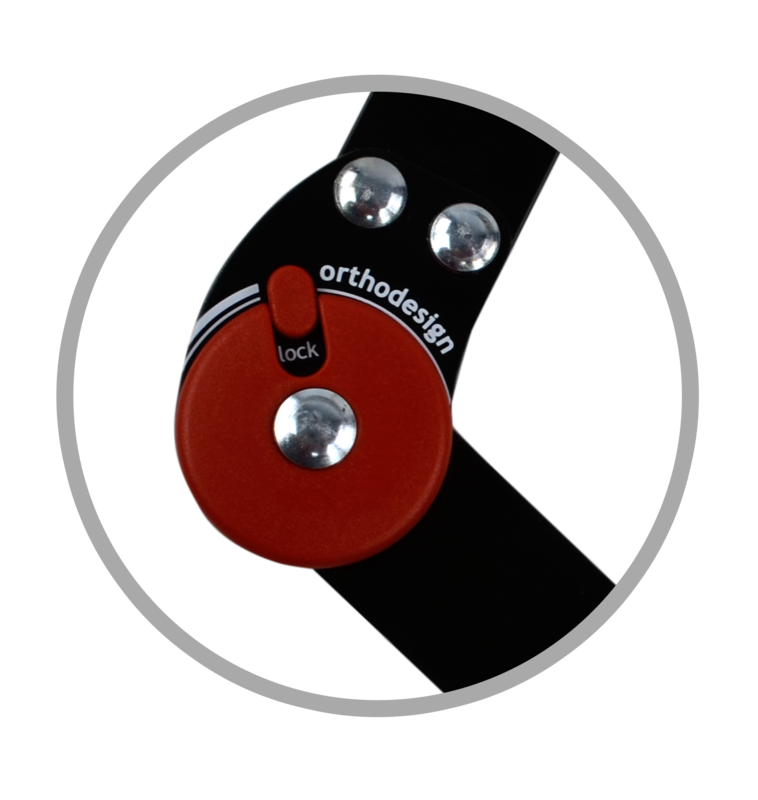 Patient or physiotherapist may decide on their own which ligament should be protected. 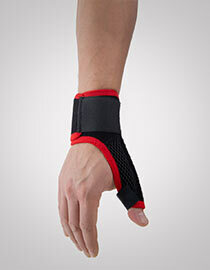 Furthermore, the upper part of brace is wraparound what make the putting the brace on very easy. Also, our knee brace with Patella Donut supports patellofemoral joint and reduces pain.